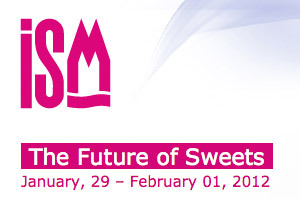 The World’s Greatest Chocolate, Sweet and Cookie Fair ISM 2012 International Sweets and Biscuits opens its door at 29th of January to 1st of February 2012. Elit takes its place just like every year, with its products in every category and the launch products. The most important feature of the Cologne Fair is, all the importers, manufacturers, exporters, distributers coming from all corners of the world, gather under the same roof. Such that, the Fair is officially registered all over the world as it has the most visitor and participant potential and the most popular Fair. Furthermore, the Fair has a very important role in getting the costumers and the distributors of the participant countries together. All the improvements in the sector, new approaches, different products, shortly all dynamics are in this fair. We will be pleased to have you, our business partners who would like to visit ISM Cologne, the greatest Fair of the world of the sector, at our Hall 11.1 – G 009 numbered booth.